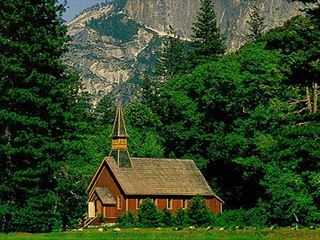 Situated in the Sierra Nevada Mountains, Yosemite National Park is a breath-taking combination of pristine landscape, rugged mountains and native wildlife. 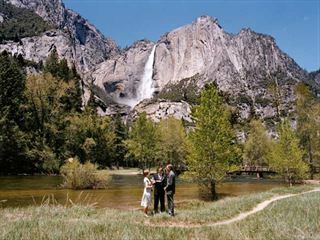 You can be in the park within hours of leaving such metropolises as Los Angeles and San Francisco – hard to believe when you come face to face with the striking scenery. The landscape varies from 2000 to 13,000 feet above sea level, so if you’re into rock climbing there are few places as awe-inspiring to do it. Speckled with sequoia-trees, wild bears and glaciers, it really is a sight to behold. 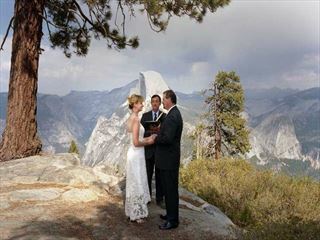 Yosemite weddings are one of life’s most celebrated events, and they deserve a destination as grand as the occasion. 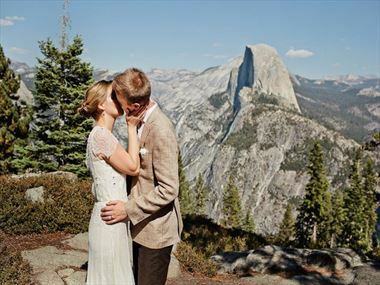 Start your new lives together with a Northern California wedding at Yosemite National Park. 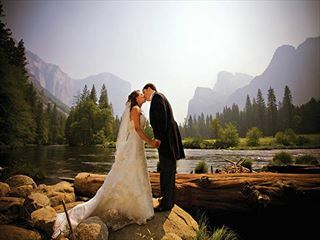 Our breath-taking Yosemite wedding venues include stunning backdrops at Merced River, Glacier Point, the beautiful Yosemite Falls and meadow and the Yosemite Valley Chapel.